Incorporates all important predictive data and ignores the rest. Explains the past and predicts future real-world behavior. Provides cost-effective benefits in the real-world. 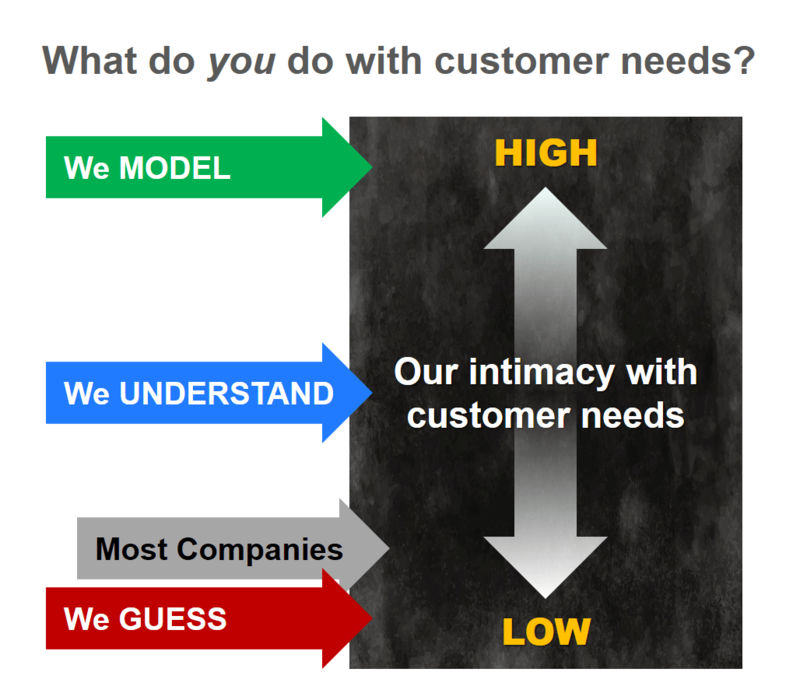 Your company’s relationship with customer needs lies somewhere on an “intimacy” continuum anchored by three points: We Guess, We Understand, and We Model. Before describing how to model customer needs—and why this is so important—let’s see what “guessing” and “understanding” look like. You start with your own ideas instead of customers’ ideas. You use customer interviews to “validate” your pre-conceived notions. You only learn how your new product will sell after you launch it. When your company moves from “guessing” to “understanding,” you eliminate two types of errors: errors of omission and errors of commission. The first is failing to uncover unarticulated customer needs, and the second is selecting the wrong customer needs to pursue. 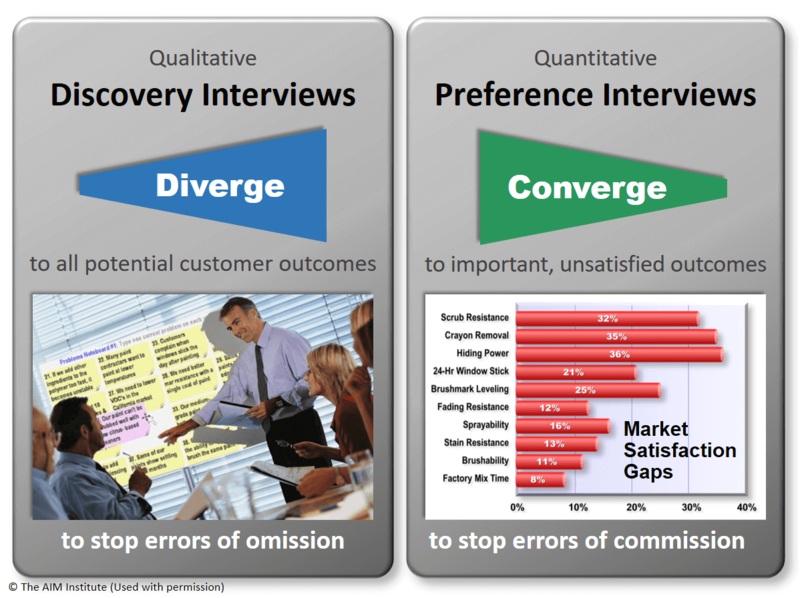 For years, Blueprinting practitioners have used divergent, qualitative Discovery interviews and convergent, quantitative Preference interviews to avoid errors of omission and commission, respectively. Many teams stop after these interviews… and that may be OK if your competitors are still guessing. But some day even lagging competitors will stop guessing and start understanding. As the Quality Wave showed, Detroit automakers eventually had to close the gap with Japanese competitors. (See Catch the Innovation Wave.) Why not build modeling skills now to put maximum daylight between you and competitors for as long as possible? You don’t need to show customers your prototype and ask what they think… because you’ve modeled how they think. 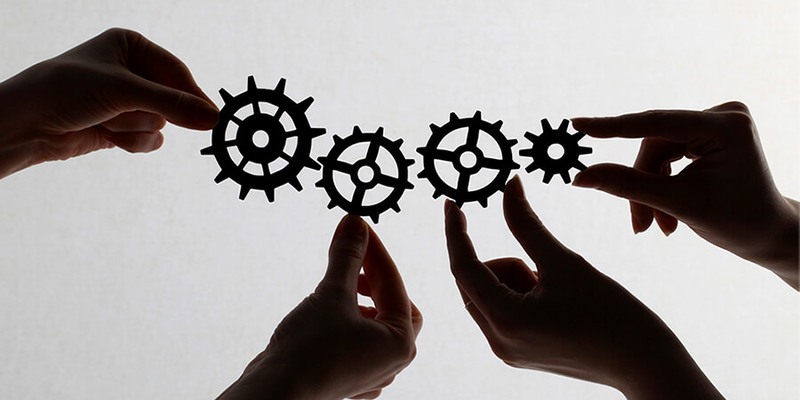 With customer needs modeling you don’t seek customer reaction. You predict it. You don’t need to show customers your prototype and ask what they think… because you’ve modeled how they think. But you can only do this by first letting your smart B2B customers make you smarter during those “understanding” interviews mentioned earlier. Cold-temperature impact resistance is important and unsatisfactory today. A good test is to drop a 1 kilogram steel ball on a test panel at -20oC. Next you conduct side-by-side tests on competitors’ products and any pre-existing products you may have. You convert all test results (centimeters here) to a 1-to-10 scale, where 5 = barely acceptable, and 10 = totally satisfied. 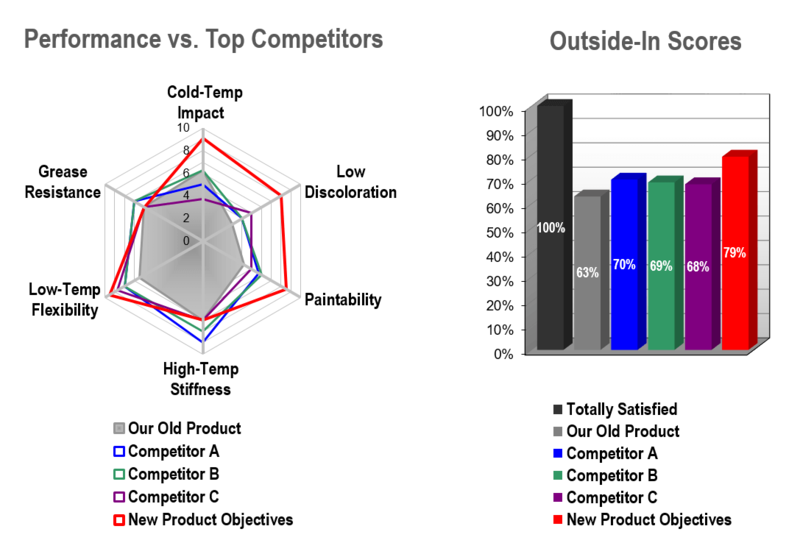 This yields the radar chart shown, where blue, green and violet are your toughest competitors, and grey is your pre-existing product. Now the fun part: Your team imagines its first product design, shown as a red line in the radar chart. The red column in the “Outside-In” chart models how the market would react to this product vis-à-vis competitors’ products. Each column models that product’s performance (on cold-temperature impact and other outcomes) and is weighted for the importance customers assigned to each outcome. Its much cheaper and faster to perform “what if” mental experiments in the front-end of innovation than to create physical prototypes for customer evaluation in the development stage. Your testing lets you understand customers’ next best alternatives… the only way to optimize the design, pricing and promotion of your new product. Your B2B customers will be more engaged when you seek their early advice vs. lobbing your prototypes at them. And if you do create a prototype later, they’ll appreciate that you didn’t waste their evaluation time with frivolous concepts. So should you abandon the use of prototypes? Nope, just use them later and for different reasons. Use them in the development stage instead of the front-end of innovation. And use them to continue engaging customers and refining (not guessing) your product design. These three principles lead to an inescapable fact: Intimacy with customer needs is crucial to your organic growth. Your company’s only path to profitable, sustainable organic growth is creating customer value. You only create customer value by improving an important, unmet customer need (somewhere along the value chain). You cannot efficiently, effectively improve that which you do not fully comprehend. These three principles lead to an inescapable fact: Intimacy with customer needs is crucial to your organic growth. We’d like to help you move from guessing customer needs… to understanding them… to modeling them. The single most effective way to begin is to have someone from your company join us at our next New Product Blueprinting open workshop. To learn more, visit Blueprinting Workshops. If you’re not already practicing New Product Blueprinting, we’re pretty sure you’ll be surprised at what you’ve been missing. If that’s not the case, we’ll happily return your registration fee and congratulate you on the way you are understanding and modeling customer needs.